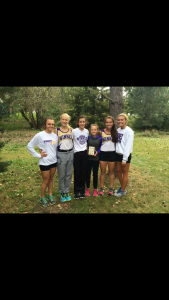 The Winner Area girls cross country team won first place at the Platte-Geddes Invite on Saturday. Results of the varsity girls include Sidda Schuyler, 2nd; Chloe Bartels, 9th; Aryn Meiners, 10th; Sam Schuyler, 12th; Saige Schuyler, 17th; Meagan Blare, 22nd. Izak Moleterno led the Winner varsity boys as he placed 7th. He was followed by Kade Watson who placed 12th. Results of the Winner girls junior varsity include: Katherine Jankauskas, 7th; Kyran Meek, 20th; Hannah LaCompte, 29th. For the junior varsity boys, Wyatt Turnquist placed 9th; Andrew Laprath, 13th; Kylar Meek, 29th. In the junior high girls race, Melanie Brozik was 2nd and Joselin Kludt, 5th.